Moscow said on Tuesday that it is willing to continue contacts with influential figures in the Syrian opposition in an effort to quell violence in the Arab Republic. ­The Russian president's special representative on the Middle East, Deputy Foreign Minister Mikhail Bogdanov, met in Moscow on Tuesday with a delegation from the Coalition of Forces for Peaceful Change, a Syrian opposition group. 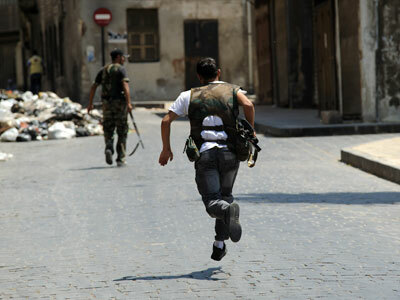 The two sides discussed the crisis situation in Syria and the prospects for its normalization. Moscow has on previous occasions held talks with both the Syrian government as well as the political opposition, a strategy at variance with that of Western governments, many of which have taken sides in the protracted showdown. The Syrian and Russian diplomats also discussed ways to address the “acute political and socioeconomic problems…via a broad national dialogue without preconditions and external diktat," the ministry statement added. Moscow said it continues to support the peace plan put forward by Kofi Annan, the former UN Syria envoy who resigned after six months of attempting to broker for peace. 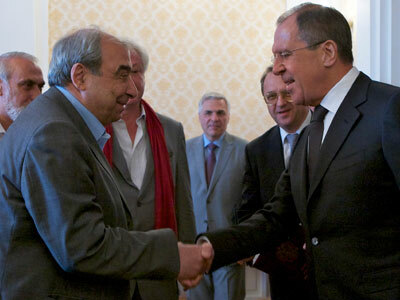 "Bogdanov reiterated the willingness of the Russian side to continue intensive contacts with influential figures in the Syrian opposition in the interests of consolidating its policies on the basis of the Kofi Annan plan and the provisions of the Geneva communique," it said. 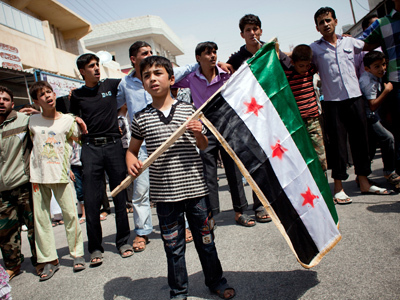 On June 30, 2012, the Action Group for Syria (which includes the Foreign Ministers of China, France, Russia, United Kingdom, United States, Turkey, Iraq, Kuwait and Qatar, and the EU High Representative) met at the UN Office at Geneva to secure an immediate cessation of violence in all its forms. The Action Group also agreed on guidelines and principles for a political transition that meets the legitimate aspirations of the Syrian people, among other requirements. In a separate conference on Tuesday in the Russian capital, Vyacheslav Matuzov, president of the Society of Friendship and Business Cooperation with the Arab Countries, said the only way of resolving the Syrian issue is through diplomacy. 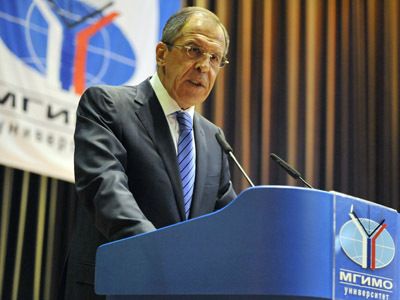 "Attempts at the solution of problems like the one in Syria by military means have discredited themselves," he said. 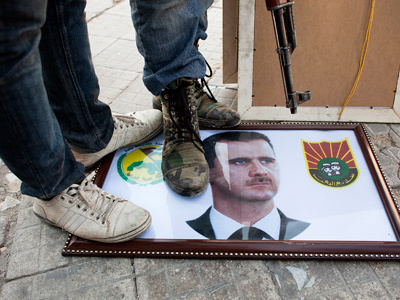 "The Western policy is at a dead end. Peace talks must be conducted." Meanwhile, Nadim Shehadi, an expert on Syria and Lebanon from the Royal Institute of International Affairs, believes it is necessary to prevent the conflict from spreading from Syria to other areas. "The responsibility shall be borne by those who started this war, which will cause serious harm not only to Syria, but to the whole Arab world," he said in a video linkup between Moscow and London. According to a report issued by the UN on Tuesday, more than 100,000 Syrians fled the war-torn country in August, the highest rate thus far in the 18-month crisis.